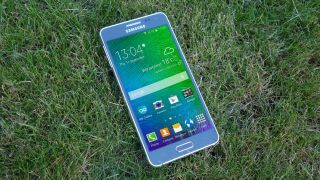 It's time for another shakeup at TechRadar HQ, as we re-rank our 10 best mobile phones in the world today. Once again we rolled out the spreadsheets, pie charts and test tubes so we could reach a definitive verdict - proven by science. We've had a few new contenders enter the arena since last time, so it's taken a fair amount of consideration. But several sleepless nights and many arguments later, we've reached our conclusion. Both of Apple's new handsets - the iPhone 6 and iPhone 6 Plus - have made it in, with the former coming in at third place and the bigger, latter handset ranking at sixth. The HTC One M8 still holds the crown for the number one spot, while the Samsung Galaxy Alpha has also managed to wiggle its way into the smartphone elite. But where did we place it?